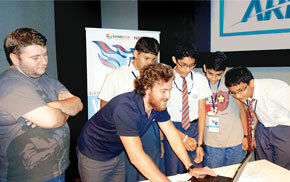 MindBox is an initiative that aims to empower students with 21st century skills. The company develops creativity & life skills of students by an output method of expression using Visual Communication as language, design thinking and STEAM as a subject. 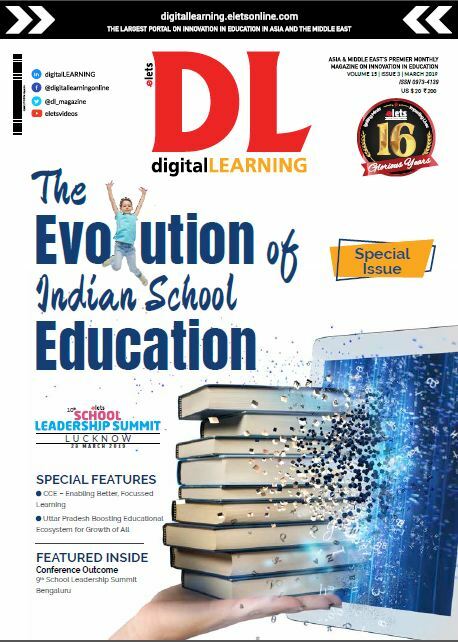 The delivery happens using Technology as a tool inside the school’s campus through Project | Design Based Training Methodology for Class 1st-12th students. MindBox provides curriculum, worksheet, software’s along with qualified faculty to conduct these sessions and a four way assessment system for school and students. 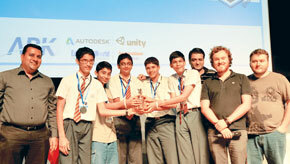 They also provide national and international level competition for students to demonstrate and showcase their skills. The programme help students to learn to build robots and perform tasks with using pre-programmed, easy to use smart Cubo Kits. The programme help develops motor skills, improves creativity and imagination, and exposure to collaboration at a young age. This programme combines the power of software and hardware technology with traditional art skills in training students on creating digital paintings. It is a fun activity based programme, introduces students to handling of digital tools of art creation at an early stage of education. A fun based programme of claymation helps students learn to create models with plasticine clay and animate them with the help of HUE HD camera and Animation software. The Programme introduces students to the creative medium of claymation of expression of creativity and imagination. The programme helps improve the sense of colour, size and proportions, experience of creating different shapes and forms. The objective of this programme is to design and develop a simple 2D game for a PC using drag and drop based programming software Game Maker Lite. The programme is for students studying in grade 4-7. It helps in improving the number and shape recognition, grouping and counting, develops sense of video perception and colour recognition, improves hand-eye coordination and promoting creativity. Art2video will create, develop and frame your moments. Select a theme or a function, conceptualise and record the entire event, edit and add titles and digital effects and produce a final video output. Programme includes videography, storyboarding, shot composition, lighting techniques, importing video, edit, adding effects, audio and text and making a final DVD of the same. An objective oriented programme designed to help students use their own creativity and imagination in creating 3D animation content using industry standard software Auto-desk Maya. A programme that covers up the entire 3D animation pipeline. The programme is designed for students of grade 8-10.